Question 2: I haven’t seen God, haven’t seen how God works and how He dominates the world. It is hard for me to recognize God and accept God. From my study of religious beliefs for so many years, I think that religious belief is merely a spiritual sustenance and a means to fill the spiritual vacuity of mankind. Didn’t all those who believed in God finally die? No one saw which person went to heaven or hell. I see all religious beliefs as very vague and unrealistic. With scientific development and human progress, religious beliefs will likely be abandoned and eliminated. We still need to believe in science. Only science is the truth and reality, which no one can deny. Although science has not denied God, it has not witnessed the existence of God either. If science can really determine that there is God and witness that God dominates everything, then we will believe in God too. We communists just believe in science. Only by believing in science and developing science will human societies continue to progress. Science can solve many real problems of human societies. What can believing in God bring to people? Other than some temporary spiritual comfort, what else is it good for? It does not solve any practical problems. So, believing in science is more realistic than believing in God, much more realistic. We have to believe in science. Answer: Atheism advocates science above all else, even to the point of deeming science the truth and belief. If science were the truth, why had so many scientific theories been refuted and disproved after existing briefly? This shows that science is not the truth at all. Can science solve the most realistic problems of human societies? Can science solve human corruption? Can science solve the darkness and evil of the world? Can science make people know God? Can science bring happiness and peace to mankind? Now that science has been developed to its peak, what are the consequences? Science has not brought happiness and peace to mankind. Instead, it has brought wars and disasters that threaten to destroy mankind. The ecology has been destroyed. Green food and organic food have disappeared. Isn't it true? With the development of science, human beings increasingly believe in science, deny and resist God, leading to the growing catastrophe of mankind. Just as Almighty God says, “From when man first had social sciences, the mind of man was occupied by science and knowledge. Then science and knowledge became tools for the ruling of mankind, and there was no longer sufficient room for man to worship God, and no more favorable conditions for the worship of God. The position of God sunk ever lower in the heart of man. A world in man’s heart with no place for God is dark, empty without hope. … Science, knowledge, freedom, democracy, leisure, comfort, these are but a temporary respite. Even with these things, man will inevitably sin and bemoan the injustices of society. These things cannot restrain man’s craving and desire to explore. Because man was made by God and the senseless sacrifices and explorations of man can only lead to more distress. Man will exist in a constant state of fear, will not know how to face the future of mankind, or how to face the path that lies ahead. Man will even come to fear science and knowledge, and fear even more the feeling of emptiness within him. … If the people of a country or a nation are unable to receive the salvation and care of God, then such a country or nation will tread the road to ruin, toward darkness, and shall be annihilated by God” (“God Presides Over the Fate of All Mankind” in The Word Appears in the Flesh). When man advocates and believes in science, he will naturally deny the truth and deny God. What outcome will it bring? When man believes in science, he will naturally refuse to accept God’s work and salvation, and he might even resist God. When man has left God, there is no more room for God in his heart, so man will no longer receive God’s blessing. Now that mankind advocates science, advocates evil, and follows worldly trends, resulting in the widening gap between mankind and God. The whole world is becoming more and more dark and evil and increasingly more against God. The increasingly more frequent human struggles and wars have brought a variety of disasters to mankind. President Yuan, do you say science can save mankind from evil and sin? Can science let man escape the catastrophe in the last days? Can science bring mankind to a good destination? These are major issues related to the outcome and destination of mankind that science cannot solve. This is enough to prove that science is not the truth; it cannot save man. 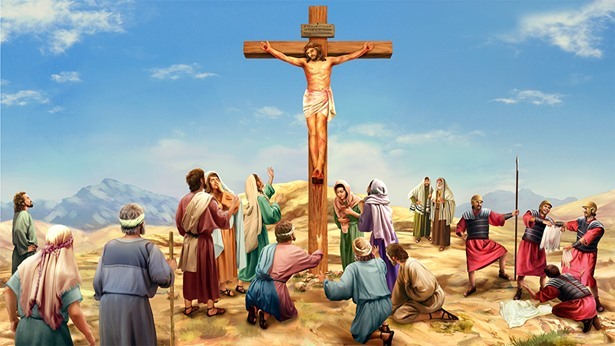 Almighty God’s expression of the truth in the last days is for the salvation of mankind. 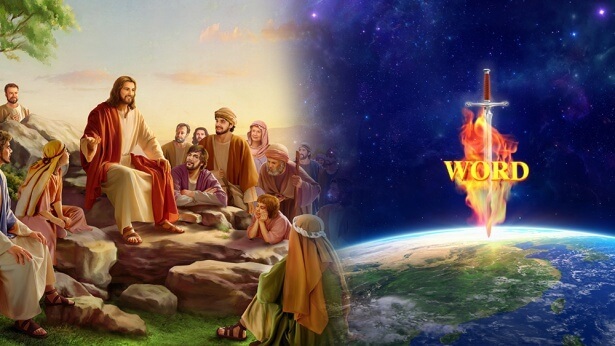 If mankind can receive the judgment and cleansing of Almighty God, it can get God’s protection amid the catastrophe and survive to be brought into God’s kingdom. This is the promise of God. Whether man can believe and accept God’s word or not, he will be able to see the fulfillment of God's word after the end of the catastrophe. Then it will be too late for regret. Previous：Question 1: You have only believed in God for a little more than a decade. You are still a rookie. I have lived the better part of my life and studied religions for decades. I can tell you responsibly, there is no God in this world, and there has never been any Savior. The whole affair of believing in God is too vague. It is completely impractical. We are both knowledgeable people; we should look at matters according to the facts and science. We should believe in scientific theories such as materialism and Darwinism. Why do you have to believe in God? We communists only believe in atheism and the theory of evolution. You need to know that Darwin's theory of evolution is one of the most important scientific theories in the history of science for mankind. According to the theory of evolution, we can be sure that everything was created by the work of nature. Man is the accidental product of nature's biological evolution process. Man had evolved from the ape. This has a sufficient theoretical basis. This shows that man was not created by God. The words written in the Bible are myths and legends that cannot be taken seriously. I advise you to learn more about materialism and Darwinism. These are very practical theories that can resolve doubts. I believe that when you see it clearly, you will have a correct understanding of religious beliefs and come out from the illusory faith. Only by following the CCP will you have a future. Next：Question 3: I hear that many pastors and elders of the religious community say that who you believe in is a man and not Jesus Christ. Yet you witness that this man is the returned Lord Jesus, that is, Almighty God appearing at work. Do you know that the Communist Party has long condemned Christianity and Catholicism as cults? And you dare to witness that the Lord Jesus has returned, that is Almighty God; aren't you bucking the head wind? How can the Communist Party spare you? The Communist Party even dares to designate Christianity and Catholicism as cults, and the Bible as a cultist book. This is an open fact. Don't you know that? If the CCP dares to condemn and deny the world’s orthodox religions, why couldn’t it condemn Almighty God's appearance and work? When the CCP could designate the Bible as a cultist book, why would it spare The Word Appears in the Flesh? The public security agencies have confiscated many copies of this book. Many people are studying it. I just don't understand it. Why do you people have to believe in Almighty God? 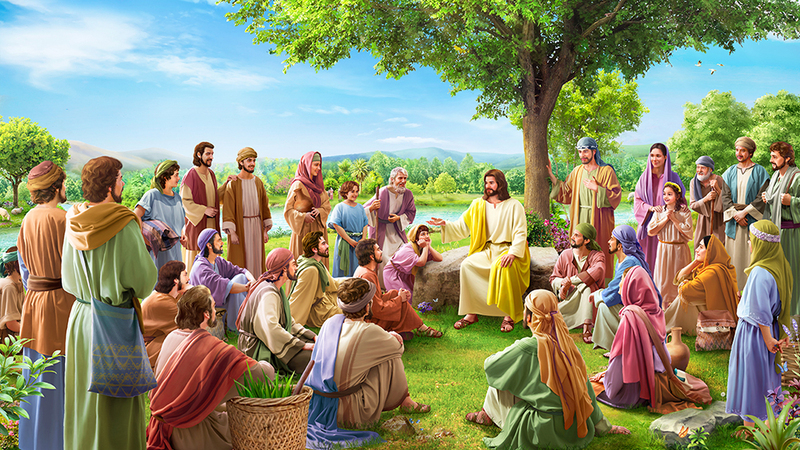 Why insist on witnessing that Almighty God is Christ of the last days? We understand everything about His family background. He is an ordinary person, just like Jesus that Christianity believes in. Jesus, the son of a carpenter, had parents and siblings. He was just an ordinary man. Yet the entire Christendom worships Jesus like God. Almighty God that you people believe in is also a man like Jesus. You insist on saying that He is God, this is quite inexplicable. You endured so much persecution and pain for believing in an ordinary man. Is it worth it? I hear that there are many people who gave up their families and careers to follow Almighty God. I doubt what you can ultimately get from believing in God like this? What is the basis for you to believe that He is God?